A weekend trip to this green surrender maybe just what you need to get over a hectic week at work. For those not well acquainted with the name, the Sundarbans is vast mangrove forest cover in the coastal region of the Bay of Bengal considered to one of the natural wonders of the world. Shared with Bangladesh, this tourism site is recognised as an UNESCO World Heritage Site of Bangladesh. The home to the Royal Bengal Tiger, the Sundarbans is revered for its mangrove forests and the large diversity of flora and fauna. It is a part of the world’s largest delta, formed by the mighty rivers Ganga, Brahmaputra and Meghna. Situated on the lower end of Gangetic West Bengal, the Sundarbans is criss-crossed by hundreds of creeks and tributaries. The Sundarbans is well connected to Kolkata. The nearest airport is the Netaji Subhash Chandra Bose Airport at Kolkata. From there, one can travel via road and after that avail a boat ride to reach the forest. Road transportation is available from Kolkata for Namkhana, Sonakhali, Raidighi, Canning, and Najat, which are all near the Sundarbans and have access to the riverine waterways. Several vehicular services offer package tours to pick and drop tourists from Kolkata to Godhkhali Jetty, the starting point of the boat journey to the Sundarbans. For those travelling locally via train routes, local trains to Canning are available from Sealdah Station (South) at regular intervals. Local shared vans are available from Canning to Godhkhali Jetty, wherein the journey can begin towards the Sundarbans. Several boat stays and cruises are organised every month for the adventure seeking tourists who want to camp in the boats during the visit and avoid staying at hotels. The West Bengal Tourism Development Corporation (WBTDTC) has a tourist lodge wherein visitors can stay; the Sajnekhali Tourist Lodge is an eco-friendly accommodation at an affordable tariff. There are private resorts too for those on the luxurious end- Sunderban Tiger Camp- Wildlife Resort, close to the Tiger Reserve Forest, Royal Bengal Resort, Sundarban Gateway Resort and Backpacker’s Eco Village among others. Nature enthusiasts can take a boat safari that will enable a round tour of the Sundarbans including a night safari and a tour of the Sundarbans Tiger Reserve. Shutterbugs can take a good view of the wilderness from atop the Sajnekhali Watch Tower or the Burirdabri Watch Tower. 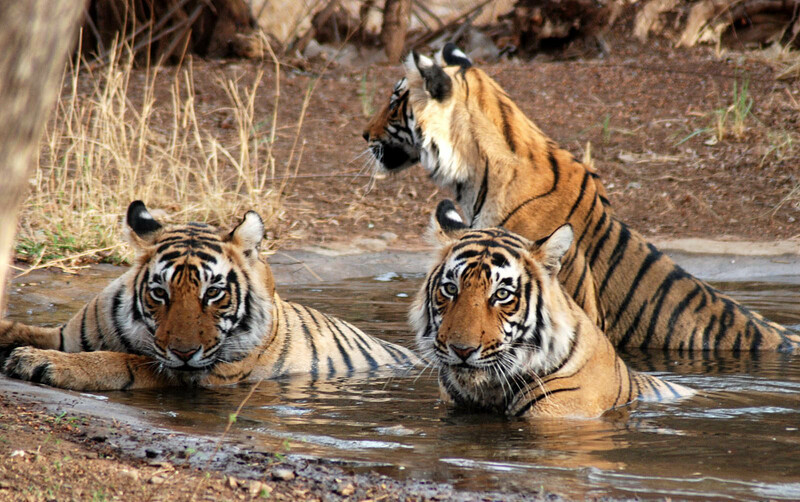 They say those lucky can spot the royal Bengal tiger coming for a drink at one of the nearby water bodies. 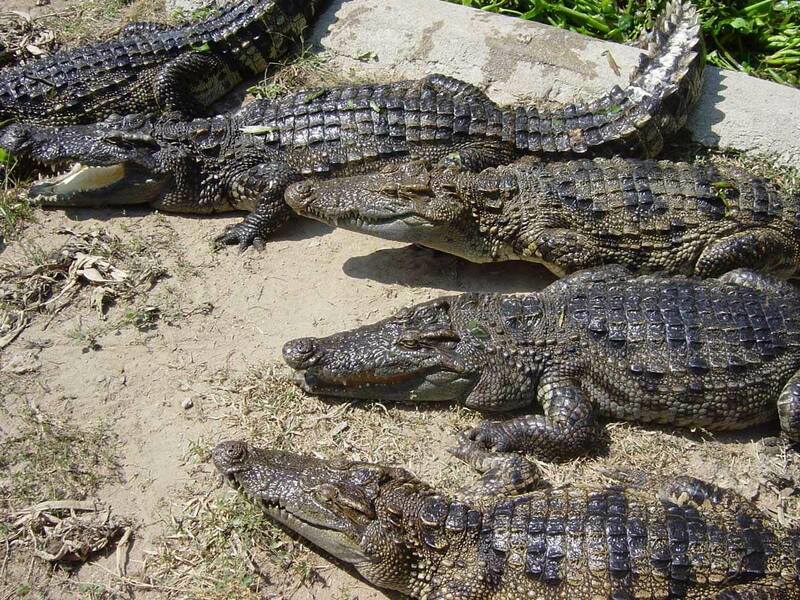 One may even visit the Bhagabatpur Crocodile Sanctuary and rejoice at the sight of basking crocodiles. Other attractions include the Henry’s Island, Bakkhali and Fraserganj. When in the Sundarbans, take back a bottle of the locally produced honey to sweeten up your mornings. This budget destination will cost one INR 6000-7000 for the lodging, boat tours and roaming per person. Airfare and external transportation costs are excluded. 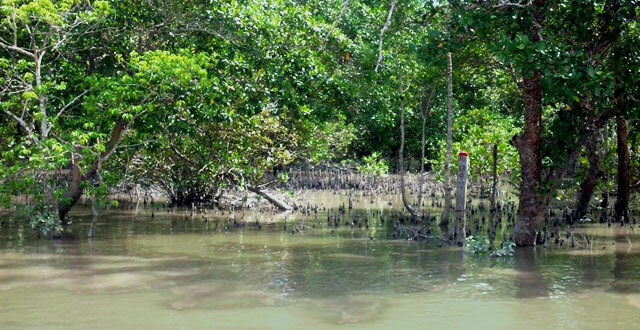 The ideal time to visit the Sundarbans is from September to March.